Getting some Jarvis Cocker news first thing in the morning is always enjoyable. 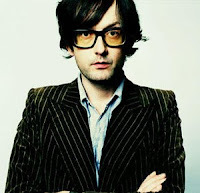 According to NME, the former Pulp frontman has recorded an album of nature sounds -- everything from birds chirping, footsteps walking on gravel and waves whirring on shore to an old music box and movements while gardening. These sounds are captured in various settings run by the National Trust, an organization that works to preserve tranquil dwellings and other properties -- like castles, gardens, ponds, and other bits of countryside -- across England, Wales and Northern Ireland. National Trust: The Album is meant to be a 'holiday for the ears' Cocker tells NME. "It's not really meant to be listened to intently, like a piece of music, but more as something to have on in the background to aid relaxation or contemplation." I promptly downloaded the album this morning! On a day like today, a cloudy and quiet one in the Windy City, it's quite lovely. This is for purists and hipsters alike. Your parents or grandparents might appreciate it as well. Everyone wins! Download National Trust: The Album here for FREE.